Welcome to CrossPointe Family Church, a Church of the Nazarene. We are committed to helping every person connect with God, each other and the world. We have taken the challenge to follow Jesus and desire to make a difference in Kendallville, throughout the surrounding area and the world! At CrossPointe Family we focus on 3 basic Biblical principles that enable us to follow Jesus the Nazarene (Matthew 2:23); prayer, growth and service. We also believe the Christian life is impossible apart from a genuine, personal relationship with God. Life happens at CrossPointe and everything we do is designed to help people encounter Jesus! We know He changes people because He has changed us. If you are looking for a church home, look no further. I believe upon your first visit you will agree that you have found a place to call home. If your visiting in the area, come, making CrossPointe Family your home away from home. Mission/Vision Statement: To rise to a new level of excellence by loving and accepting people and by preaching a life-changing message. Phillipians 4:8: Finally brothers, whatever is true, whatever is noble, whatever is right, whatever is pure, whatever is lovely, whatever is admirable-if anything is excellent or praiseworthy-think about such things. Phone Number is 260-599-0895 please leave a message if no one answers. 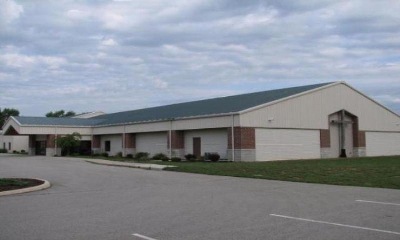 Our address is 205 High Pointe Crossing, Kendallville, Indiana 46755. We are located right next to State Road 3 off of Drake Road in a tan building with a green roof and a cross on the east side of the buiding. For directions, click Here. Our entrance is off of Drake road. "Ministry...From His Heart To Our Home..."